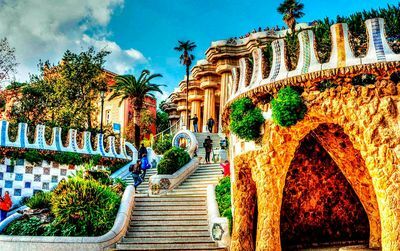 Find in this file shops for women in Barcelona specialized in women’s wear, clothes, shoes, accessories, jewels, lingerie, underwear, sleepwear stores and much more. A lovely boutique for women clothes in the Born quarter. Very nice shoes too!..Very Hip! Donazzi, brands aimed at women, unique, offering the best personal attention and a quality-price excellent relation. 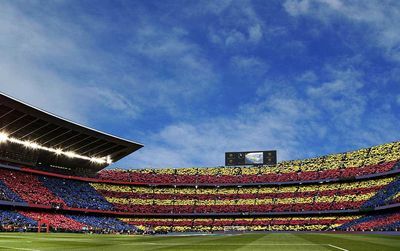 A new hair care line made in Barcelona! 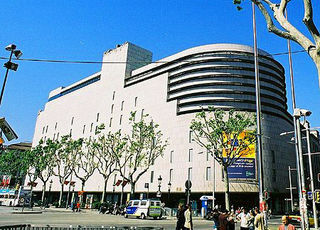 Is there a Zara Home in barcelona? My 19 year old daughter wants to visit a few shops that have affordable fashion geared toward her age. OK, I want it to be affordable! Any suggestions? Can you recommend women's fashion stores that cater for larger sizes? And also shoe stores that cater for problem feet? 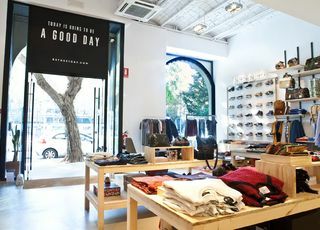 I would totally recommend a beautiful shop in C/Tallers, 52 close to the Ramblas in Barcelona, It is a unique brand, they design all the clothing, mostly women's but also men and kids clothing, and it is so different than what you can find in most shops! They have 100% silk garments which are unique, and they also use 100% cotton for most of their designs. Very natural, and beautiful designs, the jumpsuits are amazing! 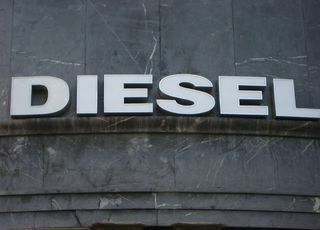 they also offer shoes and scarfs or decoration and silver accessories, or leather belts and bags. 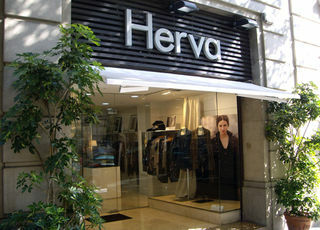 Nice little shop right in the heart of Gracia, the emblematic boheme area in Barcelona. You can find the essence of the Mediterranean air with the perfumes, eau de cologne, mikados and all kind of nice gifts and very good ideas, with excellent products. All of them are bio and ecological. Found a lovely Little store right next to the Ramblas in the Barrio Gotico. And the clothes is relatively cheap and made in Spain. 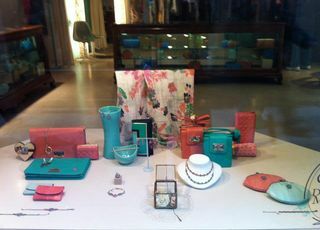 They´ve also got nice bags and purses. Durant les vacances de noël, je suis allée a Barcelone où je suis tombée sur une petite boutique peu connu mais pourtant qui créée elle même ses produits dans le magasin d'où on voit d'ailleurs l'atelier. Les vêtements y sont très beaux et a des prix abordables. 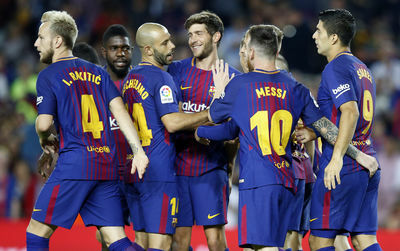 je conseille donc Bartomeu i Uribe qui se trouve dans le quartier del Born au 31 carrer Carders. C'est vraiment une belle trouvaille et je pense que je ne serai pas la seule a le penser. Zapateria NUMBER SHOES BARCELONA , en el corazon del barrio del Borne. Al lado de la iglesia Santa Maria del Mar. Coleccion de Hombre y Mujer con firmas internacionales: Opening Ceremony , swear , B Store , Miista , Xperimental shoes. 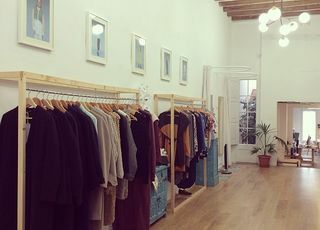 Paella showroom is a concept store,with a nice an unique selection in Vintage, design, Art, and Fashion, Made in Barcelona. 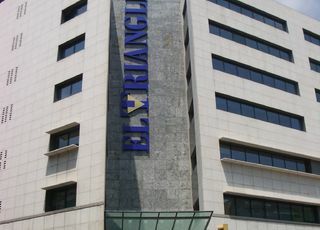 We are in the Raval, close to Plaza Catalunya. 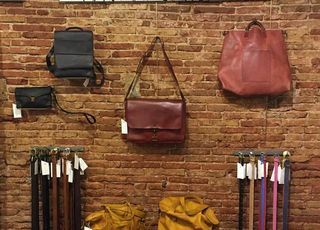 One of Barcelona's shops of reference, for women who, like you, have a real passion for fashion and share a contemporary style, urban, comfortable, and with character: the Tomates Fritos’s style. At each visit you will find something new that will captivate you, because if anything we specialize is in going ahead of the trends. We detect any trend before anyone and whenever it fits our essence, we will be the first to bring it to you ...Exclusively for you!. We know how difficult is for you to wear every day with the latest trends without sacrificing comfort or price. So we have selected with love and care all our brands and models for you to get a unique image that defines your style, your character and your personality. 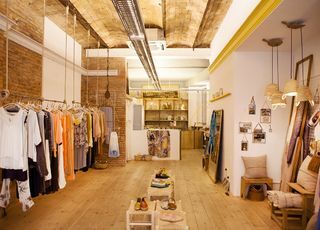 She's Golden is an amazing boutique in Barcelona owned private by a very stylish lady! Great choice of summer and winter collections from Blumarine, Paul Ka, Met and many others, I bought amazing Met dresses and jeans for a really good price. 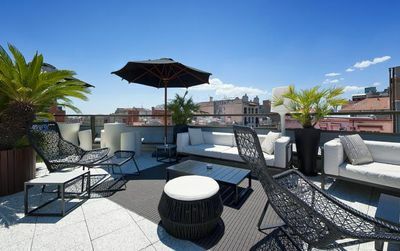 It is located in Passeig de Gracia (Rosselló 228, Corner Passeig de Gràcia, Barcelona) and is remarkable for personalized advice, golden design inside the boutique and affordable prices! Asian textiles and decoration, clothing and silver jewelery in the old city. In front of restaurant 4 Gats, carrer de Montsió #4. ASTRUC is a paceful place for a relax shopping if you like to listen good músic between lovely selection of products and personal attention. 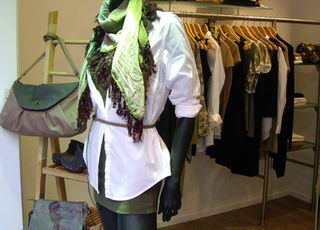 Get to know fashion shops FROM Barcelona, charming shops with a unique style and character. Check online the clothes and accessories they offer; download a discount coupon, go to the shop, try it on and decide! I've bought a pair of fantastic embroidery Zeyzani boots in El Borne, Zapatos de Diseño shop. 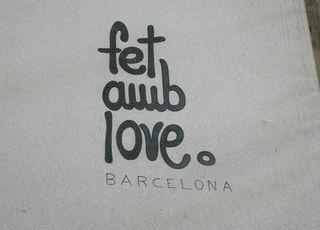 I recommend it, its behind the Fossar de les Moreres they have a website also zapatosdediseño.com models are unic! I would like to ask if the shops in Sundays are open because Im interested in coming next month for the weekend! Fashion made in BCN. They design, make and sell bags, hats, belts and accesories made in leather. High quality leather, stylish designs and a very goog prices. 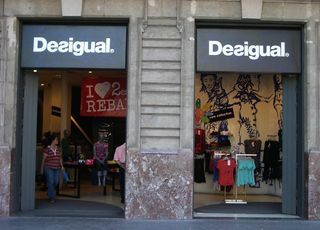 I recommend this shop to all visitors who want to buy in Barcelona something different and original. 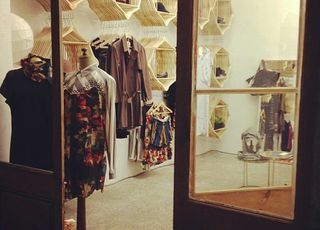 Acércate a de Temps, la nueva tienda de moda del barrio de Gràcia. Su estilo casual, trendy, cómodo y fresco, hacen de de Temps la tienda número uno para la nueva temporada primavera-verano. Descubre los nuevos tejidos y colores que te ofrece la marca y...¡disfrútalos! He estado esta semana pasada por Barcelona y he estado paseando por el Barrio de San Gervasio. 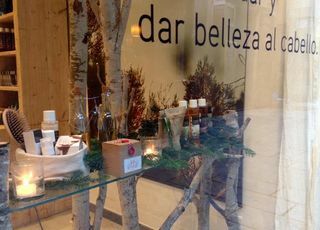 Entre otras tienda he visto una que me ha llamado la atención, Parsimonia, en la calle laforja 89, es una tienda muy bonita que venden desde perfume de hogar, perfume corporal, algún que otro producto cosmetico y productos varios super bien elegidos como pueden lenceria de una marca inglesa, Miss Crofton. Vale la pena verla porque tiene un toque muy personal. 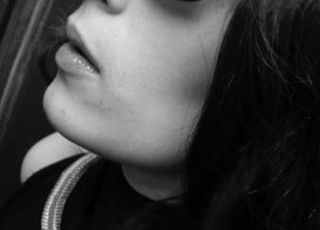 Rollitoasí representa la actitud de una mujer que busca en su interior, no fuera. Inicialmente la marca estaba enfocada a la joyería contemporánea. Hoy en día, tiene una amplia gama de accesorios y ropa de las colecciones primavera-verano, otoño-invierno. El diseño de la marca gano identidad y durante años encontró un estilo propio con valor para su clientela. Rollitoasí, está participando a numerosas ferias de diseño (Barcelona, Madrid, Valencia, Burgos, Palma) desde el 2008 a hoy en día. La marca Rollitoasí tenía un taller, vendía sus productos a las 26 tiendas de ropa y complementos en 15 ciudades españoles de 2008 hasta finales de 2010.